It’s not been an easy time to be a utility helicopter operator over the last few years. 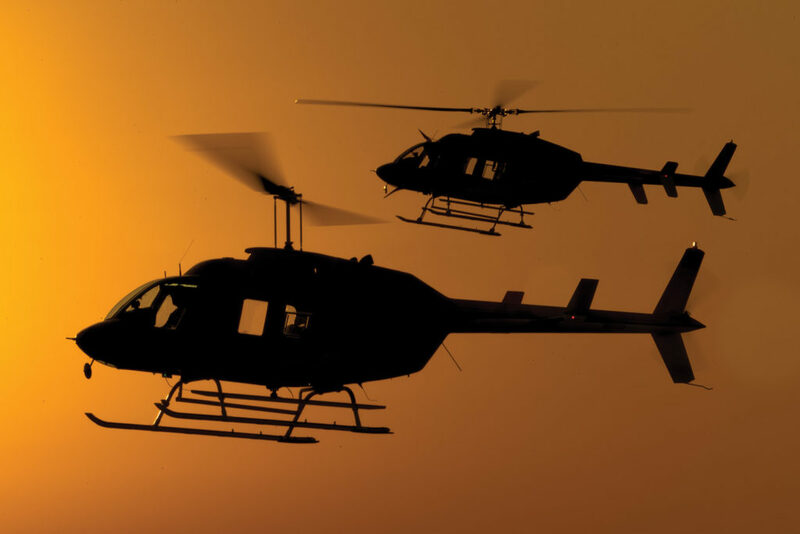 While the helicopter industry as a whole has been affected by almost unprecedented economic headwinds, the decline of work and cuts in rates within the utility sector has been particularly devastating. 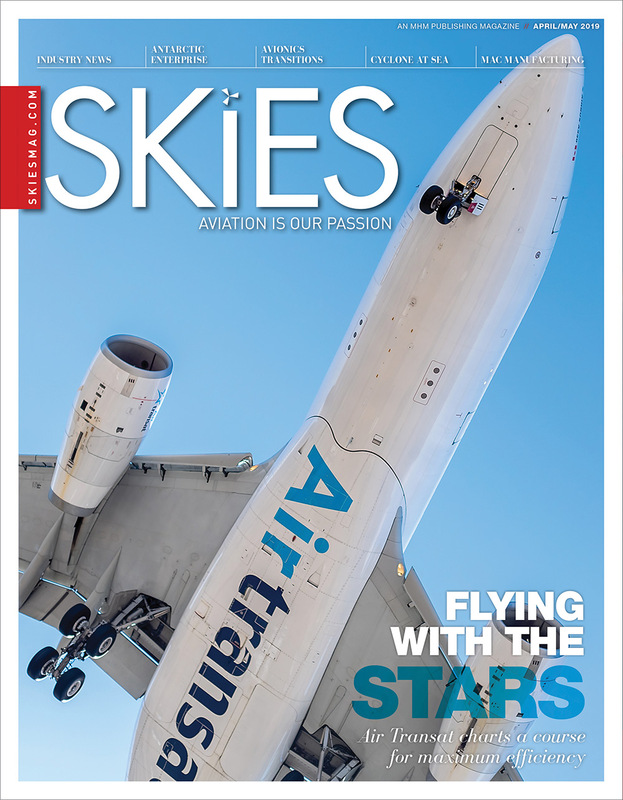 But for those with an enterprising spirit, opportunities still exist; with new contracts in hand, fleets expanding, and rotor blades turning, there is more than just an air of optimism about the future at some operators–there is genuine excitement about the present. This is the atmosphere that pervades the offices and hangars of Wisk Air Helicopters in the Northwestern Ontario city of Thunder Bay. Situated on the northwestern shore of Lake Superior–the largest of the Great Lakes–and surrounded by hundreds of kilometres of relative wilderness, numerous provincial parks, and thousands of lakes on its other three sides, Thunder Bay has the feel of a city on the frontier. 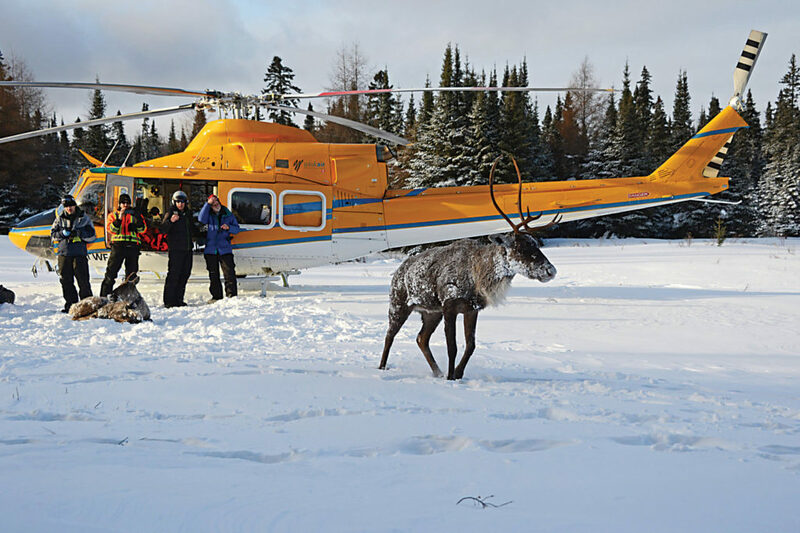 As such, it’s perhaps no surprise that Wisk Air’s traditional workload was tied to natural resources exploration across the region, as well as supporting the remote northern communities, providing medevacs, firefighting, and constructing powerlines. But while the former tasks provided the bulk of the company’s work in its formative years, it’s firefighting work and powerline construction that is allowing Wisk Air to expand its fleet and bolster its workload. 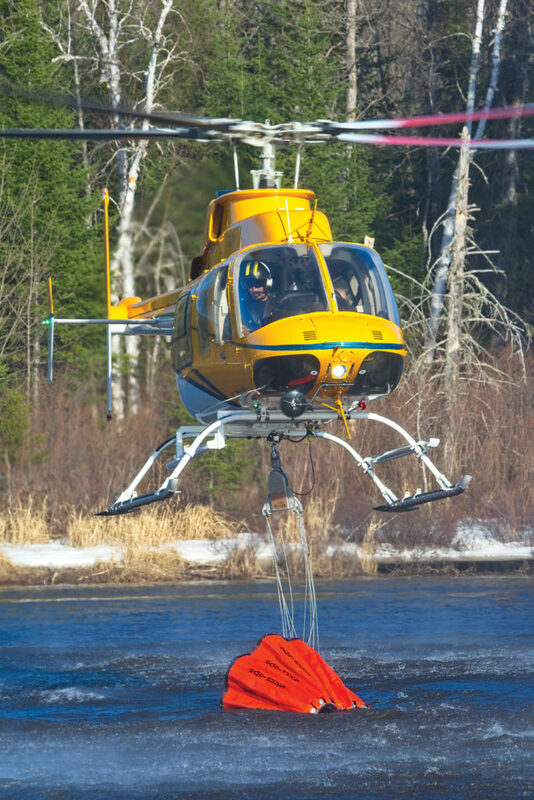 Indeed, as Skies arrived at the company’s facility at Thunder Bay International Airport in May, one of the fleet’s newest members–a Bell 412–was getting ready to depart for the start of a major new firefighting contract with the Ontario Ministry of Natural Resources and Forestry. 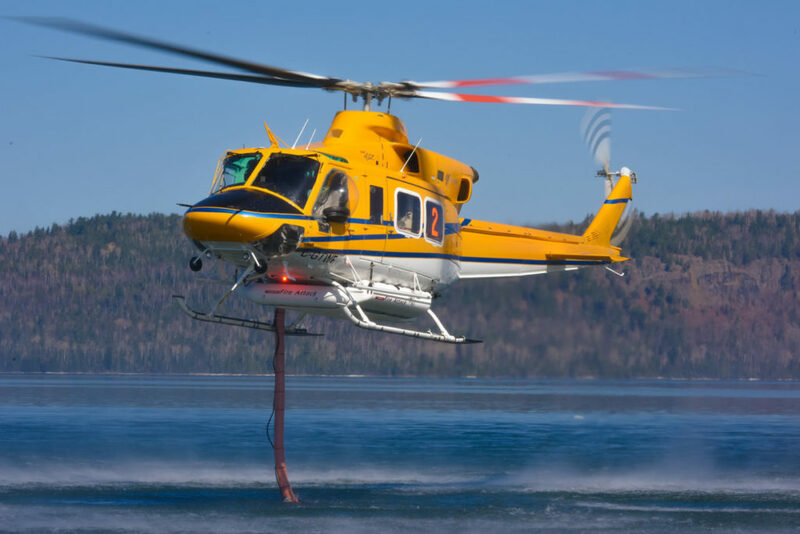 The contract, which spans seven years with the option to extend a further year, is for two Bell 412s equipped with 375-gallon (1,420-litre) Simplex Belly Tanks for firefighting operations. The contract win was the reward for Wisk Air’s thoroughly researched acquisition and customization of the medium-lift aircraft, which had represented something of a step into the unknown for the company back in 2014. With the downturn in investment in natural resources exploration in Northern Ontario, the mining work that had traditionally represented a large percentage of the company’s work had largely disappeared. With an almost complete lack of action at the hugely promising Ring of Fire chromite mining project in the James Bay Lowlands, Wisk Air needed new aircraft to maximize opportunities in other sectors. The move paid off quickly, and the aircraft proved so popular that Wisk Air has just added a third 412 to its fleet. 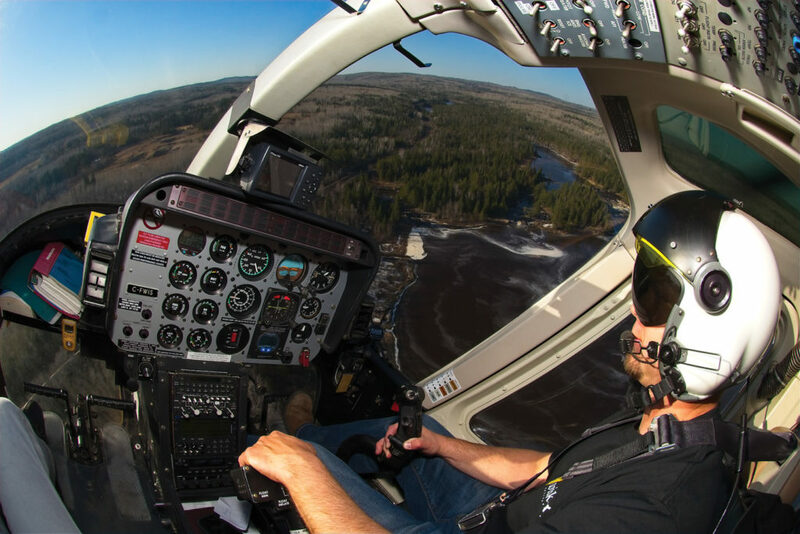 And with the potential amount of powerline construction work needed to connect 22 communities to the grid in Northern Ontario–a project that began last year and is likely to last well into the 2020s–things are indeed looking bright for Wisk Air. 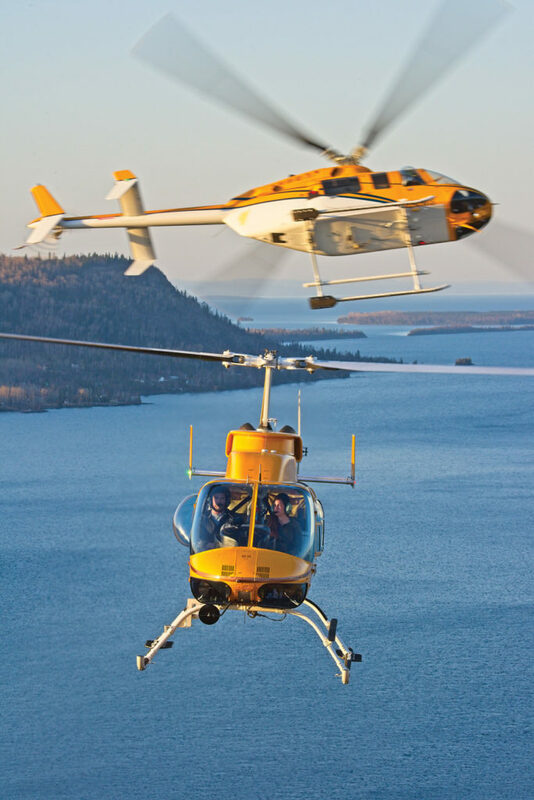 Wiskemann established Wisk Air in 1984 as an investment while he was working as a base manager with Midwest Helicopters–a former operator in Thunder Bay. Building up to a fleet of three helicopters, Wiskemann bought and then leased out the aircraft to non-competing operators. 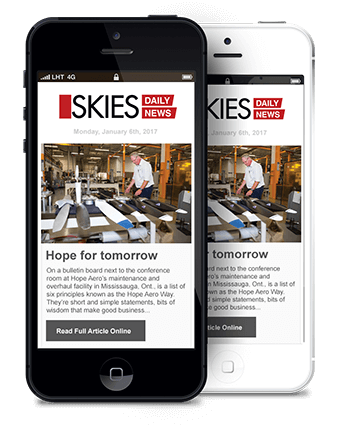 When Midwest Helicopters ended its operations in 1988, Wiskemann liquidized his small fleet of leased aircraft and established Wisk Air as an operator in its own right. 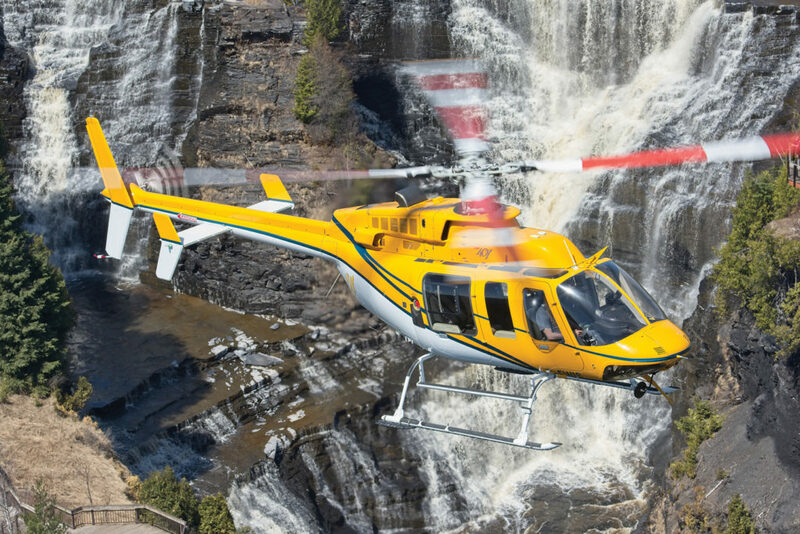 He bought a single Bell 206B from Midwest to begin his company, and as Wisk Air established itself within the Thunder Bay region, the fleet gradually expanded to include two Bell 206L LongRangers. 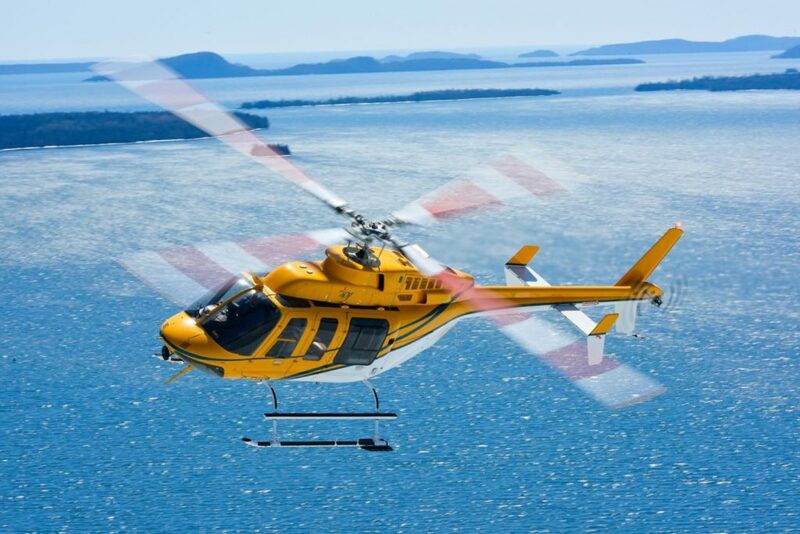 In 2005, the company acquired its first Bell 407, and the aircraft was so successful in its role that Wisk Air quickly built up its fleet to include four of the type. 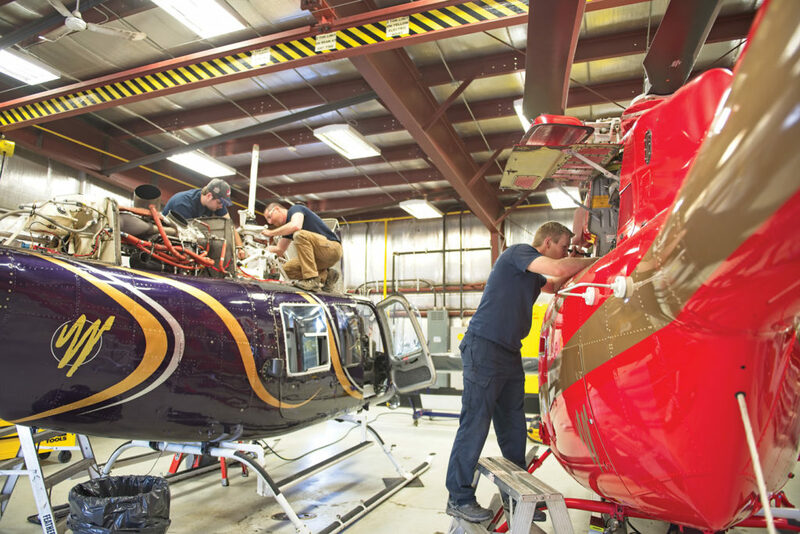 Today, in addition to the three Bell 412s, Wisk Air’s fleet includes three 407s and two LongRangers, and its work takes it across Canada–from the East Coast to the West Coast, up north to the Arctic, and down into the U.S. The 407s spend most of their time with customers such as Hydro One (Ontario’s largest electricity transmission and distribution company), Ontario Power Generation (OPG), and government entities in Ontario and other provinces. The LongRangers are typically used for powerline and roadway environmental assessments, and reconnaissance work for woodlot allocations for forestry. One of the LongRangers is also equipped with floats for operations with various mining entities in Northwestern Ontario. The 412s are all classic models with 1,800-shaft-horsepower Pratt & Whitney PT6T-3B engines and BLR Aerospace FastFin kits. They have been heavily customized to meet the operational requirements of many of the provincial firefighting agencies in Canada. This process has seen the aircraft extensively rewired, refinished, and made as light as possible (one ship, previously flying as an air medical aircraft in Colorado, had over 1,000 pounds of material removed). It was also important to install wire strike kits, high landing gear, and have the capacity to install water tanks–and the aircraft needed to be fast, with a relatively low noise profile, and be capable of performing a variety of missions. The customized 412s have a maximum gross takeoff weight of 11,900 pounds (5,400 kilograms), a useful load of up to 4,500 pounds (2,040 kilograms), and can accommodate up to 14 passengers in their 220-cubic-foot cabins. 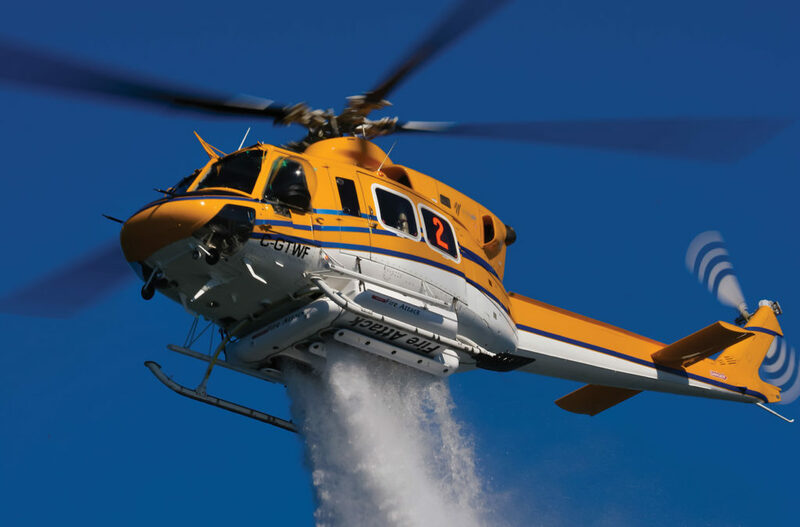 With live GPS tracking, satellite phones, and high-visibility paint and rotor blades, the aircraft have all the elements required for safe wildfire operations. With regards to the FastFin, Yaskovitch said the main benefit it provides is the reduction of stress on the tailboom. 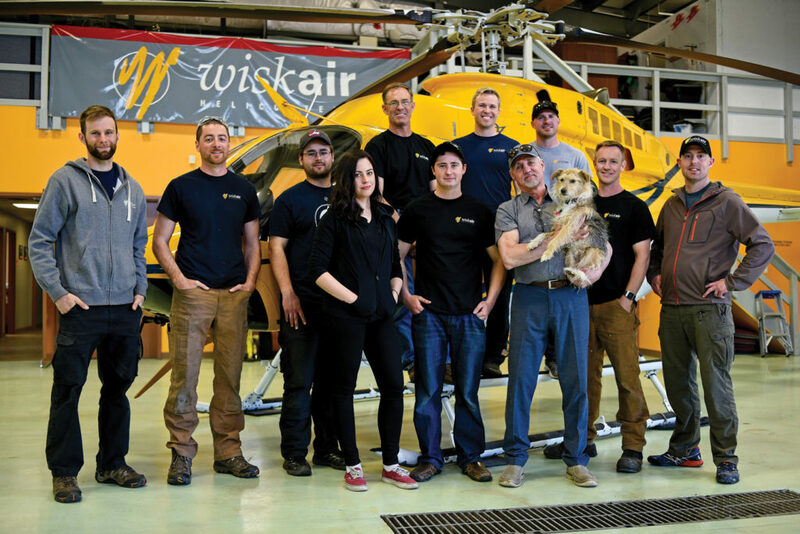 Wisk Air has a core staff of 22, including 10 pilots and eight aircraft maintenance engineers. Most of them are vastly experienced, and have been with the company for a number of years. As for what leads to this type of loyalty, he said listening to his employees and valuing their participation is key. Wiskemann believes having long-term experienced staff presents a major marketing advantage, too. Brock Yaskovitch has been a pilot at Wisk Air since 2009, and is one of several with more than 10,000 flight hours of experience. “Everybody here has quite a bit of time, which is nice, and everybody is very well acquainted with a long line,” he said. The pilots generally work a 21-days-on, 10-days-off shift in the busier seasons, but there is flexibility in that, said Yaskovitch. Being based in Northern Ontario, and with operations that take them into the Arctic, Wisk Air’s aircraft and staff face some extreme winter temperatures. To help combat this, the aircraft have Tanis heaters to protect the most important components from the cold. “We cover the aircraft, we provide a chase trailer for each aircraft, a ground crew, and then in more remote communities, we do as others do and either find hangarage through our fixed-wing brothers or we simply live outdoors,” said Wiskemann. Yaskovitch said the sheer diversity of the weather encountered in Thunder Bay is a challenge in itself. While it is headquartered in Thunder Bay, Wisk Air operates from bases across Canada, including Airdrie/Springbank, Alta. ; Oliver, B.C. ; Brandon, Man. ; Red Lake, Ont. ; and Goose Bay, N.L. According to Wiskemann, 35 per cent of the company’s work is now outside the borders of Ontario, and it has recently begun expanding into lidar and stereoscopic photography work south of the border in the U.S.
A good deal of the company’s work inside Northern Ontario is on land owned by First Nations communities, so Wisk Air has spent a great amount of time and effort cultivating mutually beneficial working relationships with First Nations. It now has 19 agreements in place with various First Nations entities to allow it to do business in their traditional lands. The company’s home base consists of two hangars either side of a central office area. One hangar was on the site when Wisk Air moved in, and the second was an addition built in 2008. 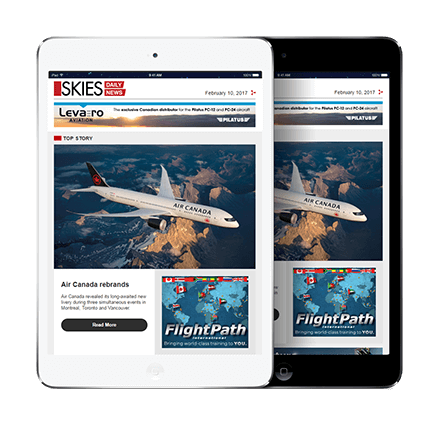 The team performs all maintenance required on the aircraft except the major overhauls, which are sent out to Standard Aero in Winnipeg, Man., and AGO in Kingston, Ont. When on a contract, each 412 is accompanied by a trailer that contains a workspace and all the parts, spares and supplies the aircraft might need. For the LongRangers and 407s, each engineer carries their own personal aircraft support kit, which they are responsible to manage. The shift pattern generally sees the maintenance staff work a 20-days-on, 10-days-off rotation in the summer, and a five-days-on, two-days-off rotation in the quieter winter months. 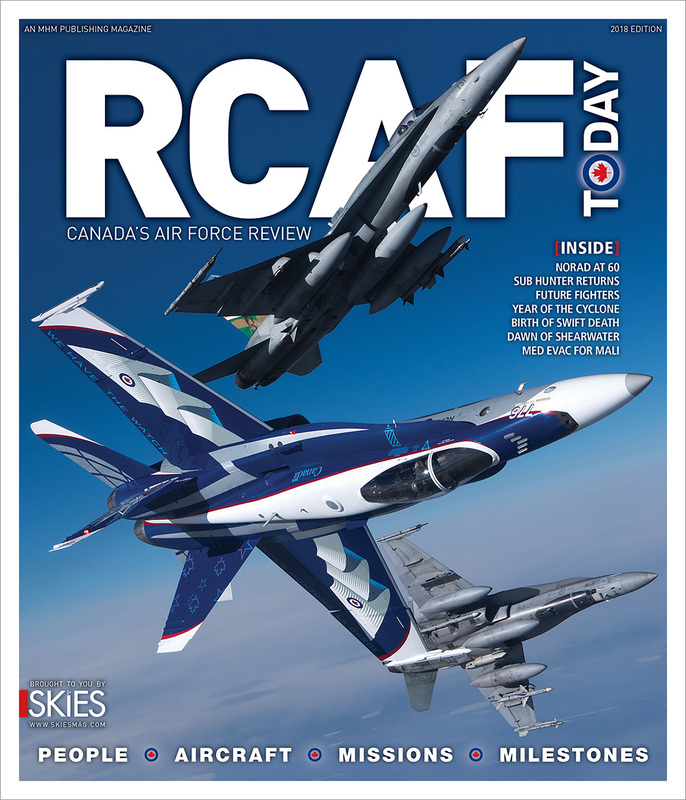 Robins said the company has maintained a good relationship with nearby Confederation College (which offers training for aircraft maintenance engineers), so is never short of applicants for positions as it grows. Among the more recent employees at Wisk Air are the next generation of Wiskemanns, with Mark’s two adult children currently serving as the company’s junior pilots, with 200 and 500 hours under their belts, respectively. Wiskemann said he feels confident for the company’s success as they grow into their roles and take on an increasing amount of responsibility. “I’m satisfied with what we have in front of us for the next eight years, and I think the work that we’re doing in the powerline business is going to be the augmentation for our success into the future,” he said.